There’s something in the air that has us looking around, thinking maybe the cold is almost over. “It must be spring,” I call across the road to Ken. He’s with his ute and dog outside the general store. Yet on the bike, the air is chill. We still have our armour of newspaper. And my feet are so cold they’re numb. “Look at that big bugger cumulus nimbus over Mt St Bathan’s way,” Bartali says. 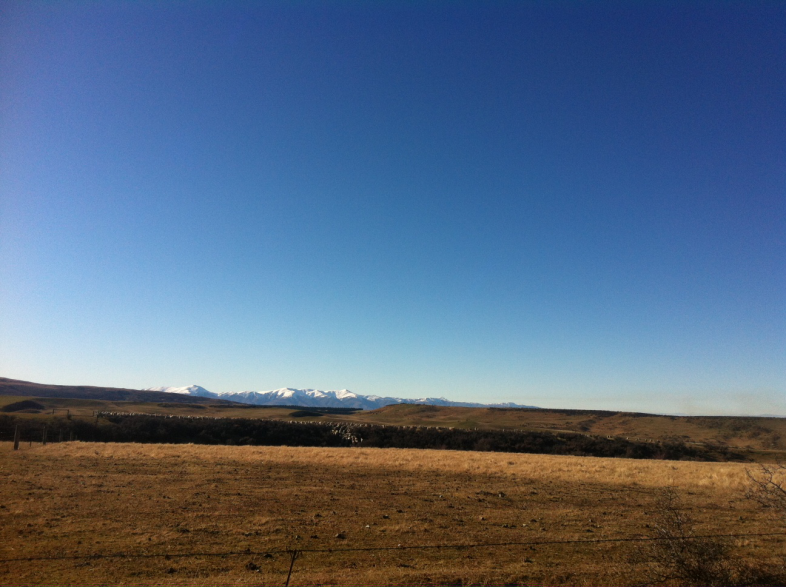 We ride towards Wedderburn. There are sheep clustered on a far ridge, but nothing going on at Becker’s woolshed yet. As well as shearing in the district, the farmers are scanning ewes, Ken had told me. “Are you there?” Bartali calls. “Yes,” I call back. Up the gnarly little bastards. “Just set your own rhythm going up the hill. Pedal in circles,” Bartali says. On the last hill I stand up on my pedals to keep up with him, recover on the final sweep to the corner. “What a lovely downhill ride,” I yell, and then realize it’s because I’m in his shelter. I take a turn at the front into the head wind. The third time I pass Bartali he calls out “Relax your forearms!” I realize they’re clamped with determination to the handlebars. We sprint to the village. I tuck in, hands low on the bars, and go with him, but he burns me off as we pass the general store. Home to spiralina smoothie, a shower and some time by the fire before the evening shift at the hospital. Up and down the long corridors, with the memory of sky inside me. 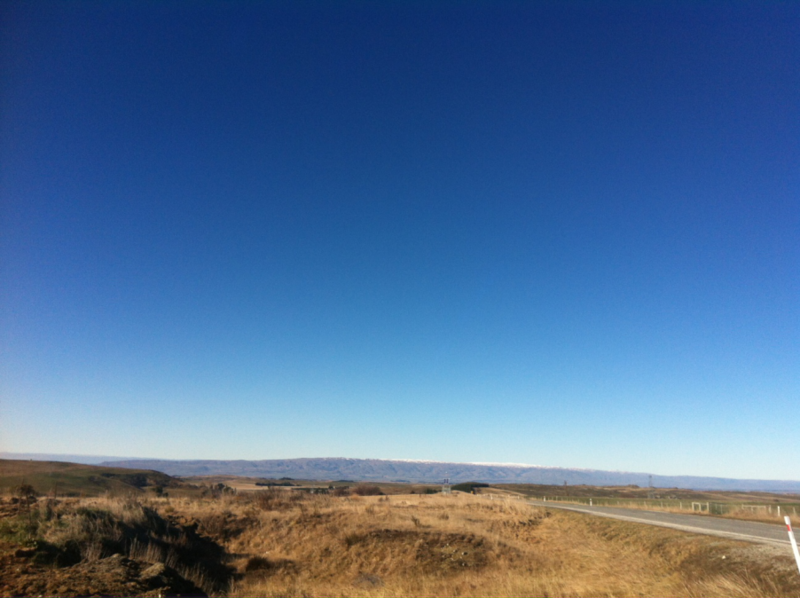 On the road to Wedderburn, looking towards the Rock and Pillar ranges.